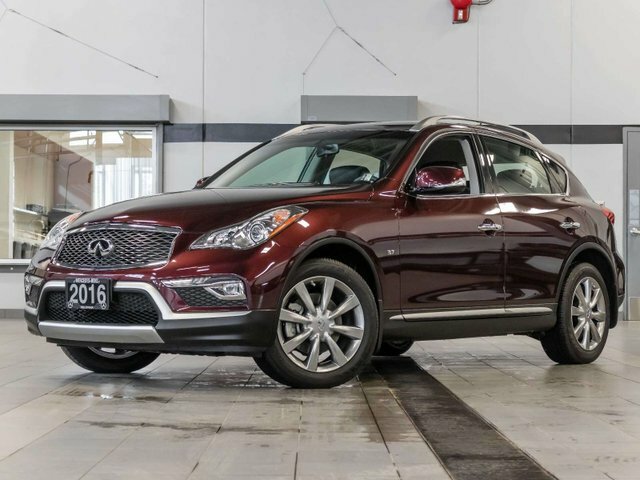 1-owner local 2016 Infiniti QX50with all-wheel drive and only 2,459kms. Having a QX50 of this year with such low mileage is extremely rare, and has left this QX50 in showroom like condition with hardly any wear on the interior upholstery or exterior paint. Originally purchased new at Kelowna Infiniti in May 2016 and just recently traded in here to our dealership. 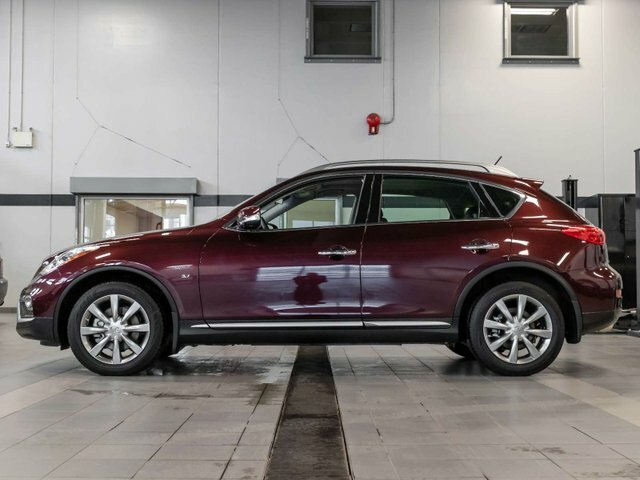 This QX50 has been garage stored for nearly the entire time it was owned, leaving the tires and brakes in almost new condition. After getting a used vehicle inspection, it is now ready to hit the road with its new owners after getting a fresh oil and filter change. Comes in a Sangria Red metallic exterior nicely paired with black leather upholstery. 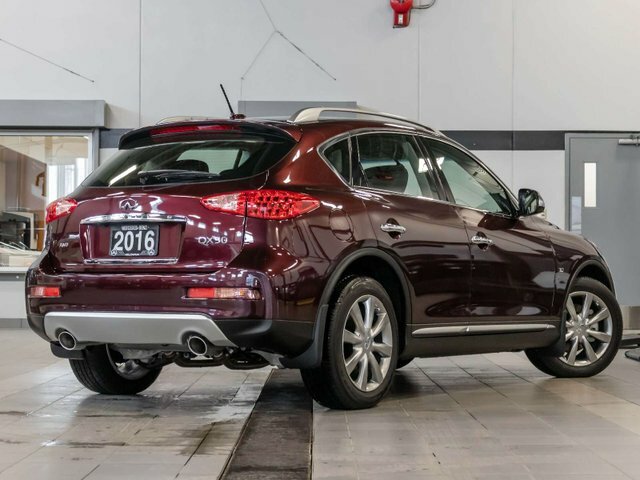 Powering this QX50 is a 3.7L V6 engine which produces 325hp and 267lb-ft of torque paired with a 7-speed automatic transmission. A used vehicle inspection was carried out, and during the process changed the oil and filter, ensuring this vehicle is ready to go for its new owners. Key features include - Power sliding tinted glass moonroof, Infiniti Intelligent Key with illuminated push button ignition, heated front seats, SiriusXM Satellite Radio, USB connection port, Bluetooth hands-free phone system, Infiniti Controller for audio, climate control and other comfort/convenience features, rear view camera and much more. Comes with (2) sets of keys and all original owner's manuals. Pre-owned vehicle tax rate is determined by the purchasers home province residence. Contact the dealership for your personal video walk-around or any additional information.